Wasn't it only a few days ago (okay, maybe a month) that a massive Mahogany Mob erupted into violence in 63 percent black Memphis? "Like a bad neighbor, black people are there..."
It's not white children that need controlling; it's Michael Oher's fellow black citizens in Memphis in dire need of control. In the animal kingdom, a display of these traits - to a predator - represent grounds for immediate, unrelenting attack. Chief Thomas Jackson of the police force in Ferguson, Mo., issued a stark apology to the family of Michael Brown on Thursday, saying in a videotaped statement that he was sorry for the death of their son and for the four hours that the body of the unarmed 18-year-old lay in the street after he was fatally shot by a police officer. In the video, released by a public relations firm nearly seven weeks after the shooting, Chief Jackson spoke for about two and a half minutes, occasionally glancing down at notes in his hand. He was not in police uniform but rather a reddish-pink polo shirt. He also extended his apology to African-Americans in Ferguson, who have accused the police department of racial profiling and mistreatment. Michael Brown's parents, the odd couple of Michael Brown Sr. and Lesley McSpadden, were "unmoved" by this public display of cowardice and capitulation to the black mob. They want Officer Darren Wilson "in handcuffs." An off-duty St. Louis city police officer was shot at early Sunday morning on Interstate 70. Around 12:20 a.m., the officer was on I-70 near I-170 when three black male suspects fired shots into his personal car. The officer was hit by glass and suffered an injury to his arm. Police say the officer did not shoot back. The three suspects fled the scene in a black sedan. "... the officer did not shoot back." In St. Louis, with the rate of black crime and black hatred of police, the odds are high a white officer of the law will fire back on a black suspect. Moments became tense in Ferguson Sunday night as several people were arrested outside of the Ferguson Police Department. The arrests were a part of the latest round of protests over the shooting death of 18-year-old Michael Brown. Authorities say a total of eight people were taken into custody. They were charged with failing to disperse and resisting arrest. Nearly 150 people were protesting. 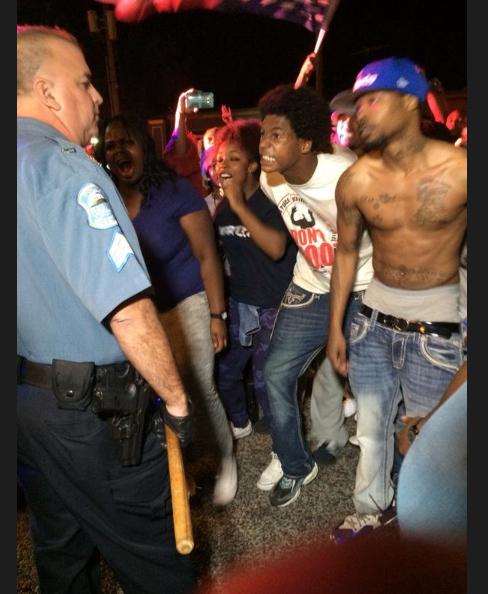 According to a Ferguson police official, that crowd would not leave South Florissant Road. Ferguson police put out a call for back up around 10 p.m. after bottles and rocks were reportedly thrown at officers. County police, highway patrol, and officers from other municipalities responded. About an hour or so later, the arrests took place. Rocks and bottles being thrown at police, and gunshots being fired in their direction, all because the monopoly on violence is no longer in the hands of the state; the black insurrectionists have usurped this vise on violence. Detroit in 2014, the same situation Ferguson will find itself in by 2016 at the earliest. PK NOTE: So close to the fundraising goal. If you can help out, please make a donation to the PayPal account to the right-hand side of the site. Thanks! What's coming will justify your support. Trust me. And so, the die is cast. If you understand what this article means, you understand the future is now. The present dictates the future. The U.S. Department of Justice asked Ferguson Police Chief Thomas Jackson on Friday to prohibit police officers from wearing “I am Darren Wilson” bracelets while on duty in Ferguson. “We are keenly aware of the importance of individual expression of opinions, even those that some find offensive, insensitive, or harmful,” Lopez said in the letter. This game is not friendly. PK NOTE: The return to normality is Sunday. If you haven't yet, please consider making a donation to SBPDL via PayPal. Thanks to those of you who have made a donation, but the fight must go on. U.S. Department of Justice officials promised a frustrated group of Ferguson residents Wednesday night that the federal government will take seriously their allegations of racial profiling and brutality at the hands of north St. Louis County law enforcement. More than 300 people packed into a meeting room at St. Louis Community College at Florissant Valley for an update on the federal civil rights investigation Attorney General Eric Holder announced this month in the wake of the fatal shooting Aug. 9 of Michael Brown by Ferguson police Officer Darren Wilson. Holder said the Justice Department’s Civil Rights Division will investigate whether Ferguson police have engaged in a pattern of civil rights violations. Christy Lopez, a Justice Department deputy counsel, reiterated that point Wednesday in front of a mostly calm crowd. The point of the meeting was to give an update on the Justice Department’s investigation and give residents a chance to share their stories with federal investigators in one-on-one sessions. Much to the frustration of many in the audience, Lopez did not say much about whether the Justice Department was looking specifically into potential misconduct by Wilson. “We cannot promise a federal indictment, but we can promise a federal investigation,” she said. That wasn’t good enough for many people in the crowd. Jammian Weaver, 35, of the Spanish Lake area, left before the one-on-one sessions. Weaver, who said police roughed him up as a teenager when he was walking home from work, said he was skeptical of the Justice Department. Bobby Johnson, 24, of University City, said he was hoping to hear more of what might happen to Wilson. The Kmart store near Florissant will close as part of what the retailer said Thursday is its latest effort to cut costs by shutting down underperforming stores. A liquidation sale will begin Sunday and the store, located at 2855 Dunn Road, will close in early December, Howard Riefs, a company spokesman, said in a statement. About 100 employees, most hourly or part-time workers, are affected. The store is just off West Florissant Avenue, about 2 miles north of the QuikTrip store that looters ransacked and burned after a Ferguson police officer shot and killed unarmed teenager Michael Brown on Aug. 9. The store is within an 868.5-acre commercial and residential area Ferguson is proposing to annex. The Ferguson City Council approved the proposal in June, then submitted it to the St. Louis County Boundary Commission for consideration. If supported by the commission, the proposal would be submitted for approval by Ferguson voters and voters in the annexation area, which is north of Interstate 270. “The store was underperforming,” he said. The store opened in October 1998 in what had been a Venture store. No other Kmart stores in the St. Louis area, Southern Illinois or the rest of Missouri are facing immediate closure, the company said. Earlier this year, Kmart announced closure of its stores in Collinsville and Ellisville. 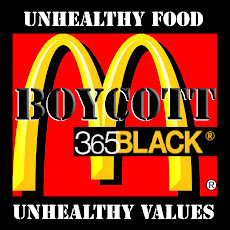 A publicly-held corporation should never be allowed to make a rational business decision and close the doors of a store failing to make a profit, if such a closing negatively impacts the black community (never mind the black community was the source of the store being in the financial red... instead of the financial black). So... when will a federal investigation by the Department of Justice be launched into the pattern of businesses shuttering their doors in communities no longer reflecting the one they were originally intending to serve (recall, Ferguson was roughly 45 - 50 percent white in 1998)? The last thing this city needed was another flash point, but it got one early Tuesday when one of two Michael Brown memorials burned. Like the shooting of a black teenager by a white cop that inspired the shrine, its destruction touched off anger and controversy. Memorial items had been arranged near a concrete light post along Canfield Drive, where Brown was shot. A larger memorial several feet away, in the middle of the street, where Brown died, was not damaged. Rumors coursed through an outraged crowd of about 100 who gathered at the scene early Tuesday that an outsider had intentionally set the blaze. Terrell Marshall, of Ferguson, said nothing was amiss when he drove past at 5 a.m., but when he drove by again at 6 a.m., the memorial was fully engulfed. Eventually, Ferguson firefighters doused the flames. By 8 a.m., the collection of stuffed animals, baseball caps, Michael Brown posters, apparel, votive candle jars and dead flowers was reduced to a heap of ashes. For weeks after the shooting of Brown by Ferguson police Officer Darren Wilson, burning candles have been part of the memorials. Empty, overturned votive candle jars were lying next to the burn site. Pools of melted wax had hardened around the shrines. But Whitt and others angrily discounted the possibility that a tipped-over candle was to blame. “There is no way a candle did this; someone used gasoline,” Whitt said. Others said they had smelled gasoline while the fire was burning. In a press release, Police Chief Thomas Jackson said the cause of the fire is unknown and under investigation. He asked that anyone with information, or photos or videos of the fire starting, contact police. Once the fire was out, police left. Not another officer was seen until 11 a.m., when Missouri Highway Patrol Capt. Ronald S. Johnson, who had headed security in Ferguson during riots after Brown’s death, arrived alone. He parked about 100 yards west of the protesters, got out of his car and watched them. Johnson said that police were investigating a video showing a blue vehicle near the scene at the time the fire started. “We’re attempting to determine how this started and to do everything we can to bring anyone to justice who may have tried to incite trouble in this neighborhood,” he said. By noon Tuesday, residents had rebuilt the shrine with a blanket, a new collection of stuffed animals, T-shirts, flowers and several unlit votive candles next to the soot-stained pole. The memorials have attracted a steady stream of visitors since Brown’s death on Aug. 9. Some just cruise slowly past in vehicles. Others park and approach the sites. Roslyn Howard, 27, and Charisma Alexander, 29, both of Ferguson, visited last week. “She was curious about it, so I said, ‘Let’s stop by and say a prayer,’” Howard said. They joined another visitor, Lakresha Moore, of Ferguson. The three held hands, bowed their heads and prayed before wiping at tears and returning to their cars. Earlier, Bill and Ellen Hirzy, of Washington, D.C., took time out from visiting family in St. Louis to pay their respects. Like many others who paused or prayed there, her husband was overcome with emotion. Mull, who had watched police try to extinguish Tuesday’s fire, said he and his neighbors want a permanent memorial at the scene. “Instead of a stain on the pavement, Michael Brown needs to be a mark on history,” Mull said. Like others along Canfield Drive, Mull said he worries about the future of the makeshift memorials. 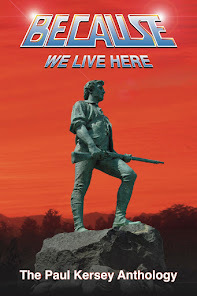 “This has become a sacred site for people here. We’re afraid the city will send a truck some night and just scrape it off the street,” he said. Ferguson officials did not return calls or emails for comment. Michael Brown attacked a cop, after strong-arm robbing some immigrant for a few score worth of Swisher Sweets. And he's a hero to a people incapable of assimilating to the society white people once built in Ferguson (remember, the city was 99 percent white in 1970...). You can bet tonight will be an interesting one in the St. Louis metropolitan area, the heartland of America. PK NOTE: SBPDL still [really, really] needs your help. You'll never see this story on CNN. St. Louis Metropolitan Police are investigating an armed robbery of six people who were walking from a restaurant in the 1100 block of Mississippi Avenue at 11:11 p.m. on Saturday. Police said the three couples, all of them from 59 to 61 years old, had just left a restaurant and were walking north on the west side of Mississippi when they were approached by two men. One of the men pointed a silver gun at the group and demanded their belongings. After the second man grabbed items from the group, the first man said, "This is for Michael Brown," according to a police account. Both men then fled on foot. One man was described at thin build about 5-feet-7 inches tall wearing a white tank top and blue jeans with medium length twisted braids armed with a small silver handgun. The other man also had a thin build and was about 5-feet-8 inches tall, wearing all black clothing and a black ski mask. Both were black men in their early 20s. Anyone who may have information regarding the armed robberies are asked to call CrimeStoppers anonymously at 866-371-8477. "Hello. This is a message from the Chatham [Savannah] Emergency Management Agency. There is a potential civil unrest situation." The complete breakdown of our border with Mexico (championed by the Obama Administration and a compliant Republican/Democrat Establishment)? But, as we have seen with the situation in Ferguson, Missouri, another threat exists showcasing America's racial divide is perhaps - in medical terms - a terminal, inoperable health problem. Mothers pushing baby strollers and throngs of young men marched Thursday night to a Savannah police station “demanding justice” for 29-year-old Charles Smith, who was shot and killed Thursday morning by a Savannah police officer while in custody. But those who demonstrated Thursday night against the shooting clearly had their doubts. They rallied in front of the downtown precinct as uniformed officers stood by. Among the demonstrators were eyewitnesses, relatives, community activists and area ministers. “We want justice, justice for Mr. D,” they chanted in unison. Eyewitness Maurice Williams, 27, said he knew Smith from the neighborhood. He said about 11 a.m. he saw Smith in the back of a police car. He stopped to watch it go by when Smith, who was about 6 feet 7 inches tall, kicked out the window, folded his legs out and pushed on the door. Williams said the officer exited the patrol car as Smith kicked the window a third time. Williams said he heard the officer say, “Do you want to die?” while he shot Smith in the legs. Williams said he saw Smith, still handcuffed, escape out the window and fall to the ground. He said the officer fired his weapon three more times, striking Smith in the head and back. Ten-year police department veteran David Jannot has been put on paid administrative leave pending the outcome of the investigation, Savannah-Chatham Metropolitan Police Department spokesman Julian Miller said in a written statement reported by The Associated Press. But that didn’t quell the anger and distress sweeping through parts of West Savannah as the eyewitness account crisscrossed through word of mouth and social media. It propelled Carla Lampkin, 42, a mother of two boys, to scream for immediate justice. “I saw his blood right here,” she said, pointing to an area near Augusta Road and Eagle Street. Small of Litway Baptist Church said he dropped off three eyewitnesses to meet with investigators from the GBI, and he sat in on one of those interviews. What baffled him, he said, is that while the shooting was being videotaped “nobody saw a gun. … The man holding the camera turned his back and there was a big gun,” Small said. Other speakers representing the National Action Network and the Savannah Chapter of the NAACP spoke at the rally. But off in the distance sat Smith’s mother, Penny Nelson, and his aunt Andrina Hardy. They said they appreciated the support but the speakers should focus on what happened to Smith. The Rev. Leonard Small told the crowd he didn’t think Smith was shot because of a crime he committed. “(Smith) was killed because he got caught being black in America,” Small said. Alicia Blakely, who helped organize the protest, said she expected a nightly presence. Smith’s older sister, Janie Smith, was one of those who took to the microphone. She said she thought it was unnecessary for her brother to be shot while wearing handcuffs. She said Smith had a 5-month-old daughter and was expecting a second child. “Everybody out here loved him,” she said. “He had a lot of heart. He wasn’t the best person, because he was on probation... But he wasn’t a threat to the community — why would everybody be out here standing up for him? Spokeswoman Meredith Ley said the call was standard protocol, whether it’s a manmade or natural disaster. Similar calls are made for St. Patrick’s Day and the Rock ’n’ Roll Marathon, she said. The decision to place the call Thursday was made internally at CEMA, “based on us working with the police and listening to what’s going on,” Ley said. It wasn’t based on the report of a shooting by a police officer per se but on “the civil unrest and how things could possibly escalate quickly,” she said. “This is an attempt for us to be prepared so if the situation escalates quickly we are ready to move to the EOC quickly and wouldn’t be wasting precious time,” she said. The EOC brings together key community partners in one place so they can work together. The assembled crowd at the scene was peaceful. But Reverend Leonard Small, who leads a flock completely devoted to the racial cause of black empowerment, gives voice to a population that's been in America for hundreds of years and failed to assimilate... so white people must sacrifice the country their ancestors built so they can accommodate a racial group always "demanding justice" for some thug birthed and reared in the culture of the black community. Gov. Jay Nixon today announced the creation of a state "Office of Community Engagement," which will focus on issues in minority and low-income communities in the wake of the Ferguson riots. Nixon appointed former Missouri state Sen. Maida Coleman as director of the new office. Former St. Louis City Municipal Judge Marvin Teer was appointed deputy director and general counsel. Coleman will be paid $120,000 annually and Teer will be paid $110,000 annually. Under an executive order Nixon signed today, the new office will be housed within the state Office of Administration. Its duties will include "engaging communities, public and private sector leaders, clergy and citizens across the state in communication regarding critical issues affecting Missouri communities," according to the statement. The new office may make recommendations to the state Department of Economic Development, Missouri Community Service Commission, Missouri Housing Development Commission and other boards, commissions and agencies that administer programs designed to assist low-income individuals. Black leaders who organized an anti-crime march that drew tens of thousands last weekend in St. Louis said Thursday they have begun recruiting “street teams” to mobilize in high-crime neighborhoods. Teams of men, including former gang members, will be assigned a city neighborhood to visit regularly for “real talk” with youth about teen pregnancy, drugs and gang violence, and to be role models for the rewards of education and employment. They’ll also encourage residents to report crimes and suspicious behavior to police. Other plans call for partnering with other groups to mentor young people, and holding regular neighborhood summits to get residents tackling their problems. “We want to liberate our community, and help them know themselves,” said Bishop Courtney Jones of Full Gospel Baptist Church Fellowship. The announcement follows Sunday’s much publicized black men’s march in St. Louis to protest violence, especially black-on-black crime and the social ills that feed it. The march was the launch for a plan dubbed “Call to Oneness” that black ministers, businessmen and community leaders have been working on since February. Its aim is to reduce crime and violence and resurrect struggling city neighborhoods. The march succeeded in getting people’s attention and demonstrated the black community is not complacent about its problems, said the Rev. F. James Clark of Shalom Church in Florissant, who heads the “Oneness” campaign. Now, it’s time to inspire and recruit people to get involved. At a meeting Monday night, the response was overwhelming, Jones said. 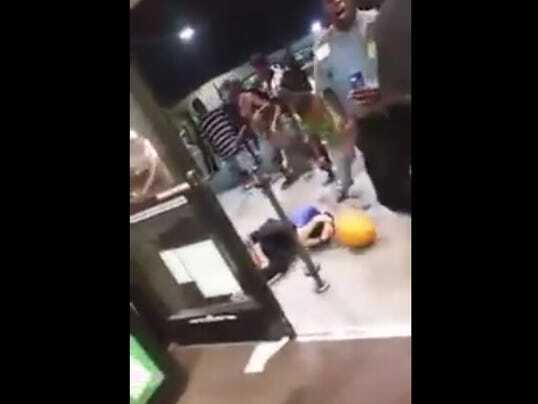 Sunday night, the crowd from the day’s march to end violence had barely dissipated when 16-year-old Shirlene Williams was fatally shot in the head at a St. Louis gas station parking lot. More than 100 men organized by the “Oneness” campaign gathered the next night at the same gas station in a stand against violence, Clark said. Some of them later visited the dead girl’s grandmother to offer condolences. They plan to attend the girl’s funeral Monday. Has sustained violence in a majority white area ever necessitated the need for a march by whites to mandate the creation of a "Oneness" campaign? By the time Raymond Feemster awoke to the pounding of firefighters at his door, flames were already licking his shotgun-style home. The vacant house next door, which neighbors said was frequented by squatters, had burst into flames and was now threatening to engulf houses on each side. Ms. Buck, who said thieves often arrived at her brickyard with “bricks in the trunk of a Lexus,” said she followed city ordinance and required brick vendors to produce a demolition permit to sell their bricks. A pallet of 500 goes for roughly $100, she said, but other less scrupulous buyers do not require permits. The toll on the city’s struggling north side has been particularly heavy. During a hard-luck tour of his ward last week, Mr. Moore pointed out several piles of rubble where houses once stood. To a people willingly burning down the memory of what whites built in St. Louis; who can never hope to replicate what whites built in starting in 1849. What the Black Man Demands, Becomes Our Command. Blacks have no purchasing power, meaning even stores like Walmart are incapable of staying open in a city without a white population (or even Hispanic) to sustain it. Were Ferguson to magically go back to its demographic breakdown in 1990 (73 percent white versus 27 percent white today), the neighborhoods currently "blighted" by a 67 percent black population could be restored; property value would magically increase; tax-revenue would grow, meaning streets would be paved and parks would be improved for children to enjoy the outdoors; and precious Walmart would return. “If Darren Wilson gets off, you all better bring every army you all have got. ’Cause it’s going down,” said one speaker. The fury of Ferguson descended on the seat of St. Louis County with a vengeance Tuesday night with demonstrators unleashing a torrent of chants, invective and threats at a County Council that listened for two hours in stunned silence. Protesters demanded the arrest of Darren Wilson, the police officer who shot 18-year-old Michael Brown to death on a Ferguson street five weeks ago, the removal of County Prosecutor Robert McCulloch from the Brown case, the resignations of County Police Chief Jon Belmar and Ferguson Police Chief Thomas Jackson and accountability from the elected county legislative arm. Council Chairwoman Hazel Erby twice threatened to end the meeting prematurely if the demonstrators — who interrupted speakers, including eight residents appealing to the council on zoning and other matters — didn’t cease. Undeterred, the audience loudly cheered speakers who likened Wilson and other law enforcement officials to “war criminals,” compared St. Louis County government to the Ku Klux Klan and drew analogies between the St. Louis region and Jim Crow laws. Oh, but it already went "down." An employee who was working the Quik Trip that was looted and burned told a terrifying story of survival. The 18 year old man didn’t want to be identified but he did say, “Terrifying very, very, terrifying. Madden says: tell me what was going through your mind. Worker: I thought I was going to die tonight, I really thought I was going to die tonight. The worker said he was at the register when the looters rushed the store. He and his two fellow workers locked themselves in a back room. One signaled the company’s alarm system. They got a phone call telling them to stay put, that the police were on the way. But after ten or twenty minutes they decided it was best to escape, fortunately before the fire started. The black insurrection in Ferguson saw scores of business looted, but the real violence started immediately succeding the lethal encounter between Officer Darren Wilson and Michael Brown. Multiple gun shots were fired by the irate black crowd at the police who gathered around the lifeless of Brown, in the already economically lifeless (remember, there's no Walmart!) 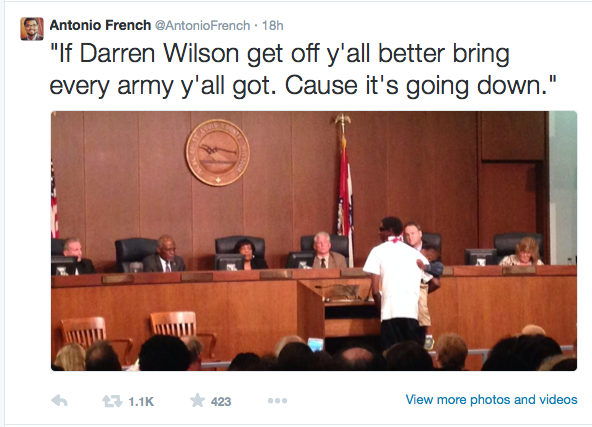 city of Ferguson. A St. Louis County first precinct dispatcher was initially bewildered by the requests for backup. “We just called Ferguson back again, and they don’t know anything about it,” she said at one point. A Ferguson dispatcher first told the ambulance district someone had been Tased.But at 12:10 p.m., county police began to flood the scene with cars: By 1 p.m., they had dispatched more than a dozen units, according to the county log. By 2 p.m., a dozen more, including two with police dogs. And the scene was about to get much more turbulent. At 2:11 p.m., Ferguson police logs captured reports of shots fired. At 2:14 p.m., ambulance dispatch noted additional gunshots, then a Code 1000, calling all available jurisdictions to help. Over the next 20 minutes, the first precinct dispatched more than 20 units from at least eight different municipal forces, from Bel-Ridge to St. John to Velda City. About 2:30 p.m., Calvin Whitaker, the livery service driver, arrived to pick up Brown’s body. One end of Canfield was blocked off by police and emergency vehicles. At the other end, a crowd stood in his way. “They were screaming, ‘Let’s kill the police,’” he said. People flung water bottles at his black SUV, he said, cussed at his wife and called them murderers. A police officer told them to stay in the car. “You guys do not have vests,” he told them. “The best thing for you to do is get down.” Whitaker and his wife reclined their seats and hunkered down. Police dogs, newly arrived, pushed the crowd back some, Jackson said. But when the dogs stepped back, the crowd surged forward, he said, even angrier than before. Jackson began to circle the perimeter with Brown’s mother. The scene was so tense, commanders in charge stopped the investigation at points and directed investigators to seek cover. Detectives also were pulled away to help manage the crowd. Finally, about 4 p.m., police officers gave the medical examiner investigator, then Whitaker and his wife, the go-ahead to take Brown’s body to the morgue. Whitaker moved behind the barriers that had eventually been put up around the body. Police stood shoulder to shoulder alongside Whitaker’s cot and lined the path to his vehicle holding up sheets to block the public’s view. Whitaker, 42, said he has transported hundreds of bodies over the years under contract with the city of St. Louis and St. Louis County. “That is the worst situation I’ve ever been in,” he said. Put Stephen King, Robert Kirkman (creator of The Walking Dead), and George Romero in a room and these writers of horror would be incapable of replicating the frightening reality that Ferguson has exposed since the events of August 10th. How Will Future Generations Ever Believe This Story? At a 99 percent black high school. Who wanted to be president. An innocent bystander to the carnage that is the environment black people, in the absence of whites, create. Actually, it's the environment blacks create regardless if whites are absent or present, quickly helping convince the latter racial group to pack their bags. A man is still on the run after a drive-by shooting at a corner store in St. Louis. God Bless Google Street View: The street where LaTasha Williams lost her eye in a drive-by shooting gone wrong... even after the Allied firebombing of it, Dresden had more life than this street. St. Louis police have made no arrests in the shooting that wounded Latasha and injured a man, 32. Multiple shots were fired into the store, leaving a constellation of bullet holes in the shop’s facade. Now, Latasha’s mother is asking for the shooter to come forward or for people to help police solve the crime. Latasha, the oldest of seven siblings, has experienced violence in her family before. Her father, Marvin Williams, was 21 when he was fatally shot in St. Louis on March 21, 2005. Police said then that they believed the shooting was gang-related. Turner said she has already broken the lease on the family’s apartment near North 20th Street and Salisbury Street, near Hyde Park, and is looking to move her family as soon as possible. She no longer thinks it’s safe. This one story perfectly captures the insanity of modernity, an epoch we can not hope to change or reverse to some magical 1950s-esque existence, but only survive. And if we survive, future generations will be hard pressed to believe people like LaTasha, Donnitta, or those who fired 53 rounds on a random Friday night and only hit two people could ever have lived. As dragons were in tales of a pre-medieval Europe that never existed, so will the horror stories of a world once populated by LaTasha's and Donnitta's (for only they could give birth to men such as the gang-banger Marvin Williams, who was 16 when LaTasha was conceived) be interpreted by generations still unborn. Somewhere, Somehow, Bull Connor is Laughing Uncontrollably: 74% Black Birmingham Celebrates 2nd Annual "Empowerment Week"
A 74 percent black city. Not just any city. The city responsible for ensuring Black-Run America (BRA) prevailed, ushering in an era of instability, continued decline, and inevitable decay. In 2013, Birmingham (74 percent black) celebrated "50 Years Forward"
The only time this city comes up in contemporary discussions/dialogue is when historic citation is necessary to shield modern blacks from any criticism or demand they be held accountable for their actions/choices. 1963 is a historic year, for it's the year the United States of America passed from being a country and officially became nothing more than a cheerleader (with nukes) for advancing the cause of Eurocide - Caucasianocide - and black empowerment. The battle of Birmingham was fought, and lost by those believing civilization was something worth defending from the very people who turned the "Paris of the West" into "America's Monrovia Cousin" (Monrovia, Liberia... where the freed slaves were sent as part of repatriation). But just as 83 percent black Detroit is collapsing into the white footprint from each it was built, the demise of 74 percent black Birmingham is equally a black phenomenon. They criticized and questioned the spending on Monday evening, but on Tuesday morning, the Birmingham City Council quietly approved $180,000 for several days of civil rights commemoration activities. The council today authorized funding for the city's second "Empowerment Week," following a committee meeting where several members criticized the lack of spending details and demanded a greater role in activities. The council last week delayed a vote on the spending, referring it to a committee Monday to get more details. "Why are we doing this again, and do you plan on doing this forever?" asked Councilwoman Valerie Abbott, chairwoman of the Budget and Finance Committee said late Monday. "People in my district want streets paved. They don't want to see a lot of partying anymore." While several council members have recently questioned the spending, it was included in the 2015 operating budget, a document approved months ago with seven 'yes' votes, including Abbott's. Mayor William Bell's staff late Monday worked to convince the council to salvage funding for their initiative - which begins Sept. 11 through Sept. 15. "This is Empowerment Week two," said Terry Burney, a Bell aide. "It sort of gave us a little boost on a national and international level. We got a positive push from this last year." "If we're going to 'Birmingham Forward,' then let's do it together," said Councilman Marcus Lundy. "We are not just the cash cow. The attitude of the council is one that wants to be participatory." In addition to the return of Empowerment Week, the city Oct. 22 - Oct. 26 will be the site of "Human Rights Week." Both organized weeks are designed to commemorate civil rights and promote world-wide human rights. Silly Councilwoman Valerie Abbott: the answer to your guest of, "Why are we doing this again, and do you plan on doing this forever? ", helps explain the reality of BRA. All past injustices against black people must be celebrated and constantly cited - as those brave civil rights leaders who overcame such injustices - to explain away the present sorrowful conditions of the black community despite massive injustice done against whites to promote exclusively black interests. We must celebrate 1963 Birmingham and all that was overcome, just as we must close our eyes to 2014 Birmingham (because the conditions of the 74 percent black city - after being controlled politically by blacks since the late 1970s - might confuse a few free-thinking white people into questioning whether Bull Connor is actually the villain in this morality play we call America). Mayor William Bell said he's directly impacted by deadly violence in the city, and his administration is methodically working with law enforcement, communities and other agencies to address crime and crime prevention. "I live in Birmingham. I hear the fire station number 14 when they crank up the emergency truck and the fire truck," Bell said. "Sometimes I hear gunshots at night." Deadly violence escalated in Birmingham during the Labor Day weekend when six people were killed. In all, there have been 10 homicides within the last two weeks. The 9:30 session at the Birmingham Museum of Art will dissect the problem of black crime and black victimization. The city of Birmingham is 74 percent black, and most of the homicides are committed by black perpetrators on black victims. Bell, during a recent work session with the City Council addressed the recent homicides, saying the city is addressing the immediate crimes while also working to address the climate that breeds lawlessness. I'm offended when people pontificate that the mayor can go out there and wave a magic wand and end crime," Bell said. "We can't do that. It's our community's responsibility. It's all of our responsibilities to do the best that we can each and every day, and I'm committed to doing that." There is a magic wand capable of being waved to end the threat of criminality; it's called "the State" daring to safe-guard a future for the law-abiding by holding black people responsible for their actions. Instead of having "Empowerment Weeks" dedicated to the perpetual celebration (and re-enactment of the fight for) of the Civil Rights Movement, it's time to realize the need for such a week in a 74 percent black city is hilarious proof Bull Connor's actions in 1963 were warranted. Fifty years forward from 2014, will Birmingham's all-black citizenry still cite 1963 as a rationale for the complete collapse of the city into conditions far worse than that found in modern Liberia? Will the city be hosting another "Empowerment Week," where some black person claiming to have been born in that holy year of 1963 is dragged on stage to rationalize black people's continued hate toward their vanquished white foes? Councilwoman Valerie Abbott asked:"Why are we doing this again, and do you plan on doing this forever?" The answer is so simple: if we stopped bringing up past white persecution toward blacks as justification for the continued failure of modern blacks (some lingering residue of failure only possible because of slavery, white supremacy, or Jim Crow), we wouldn't have anything to celebrate black people overcoming. Remove the protective shields of white guilt and state-issued "Birmingham 1963"glasses, and we'd only be left with modern Birmingham and Detroit, two cities remade in the image of their black majority. How often did Bull Connor's Birmingham hear gunshots at night, Mayor Bell? Blacks in Birmingham (and Detroit) have already been empowered. The end result? The conditions of 2014 Detroit and Birmingham. PK NOTE: The sequel to Escape from Detroit has been delayed by one month. It's scheduled to be released around November 1. 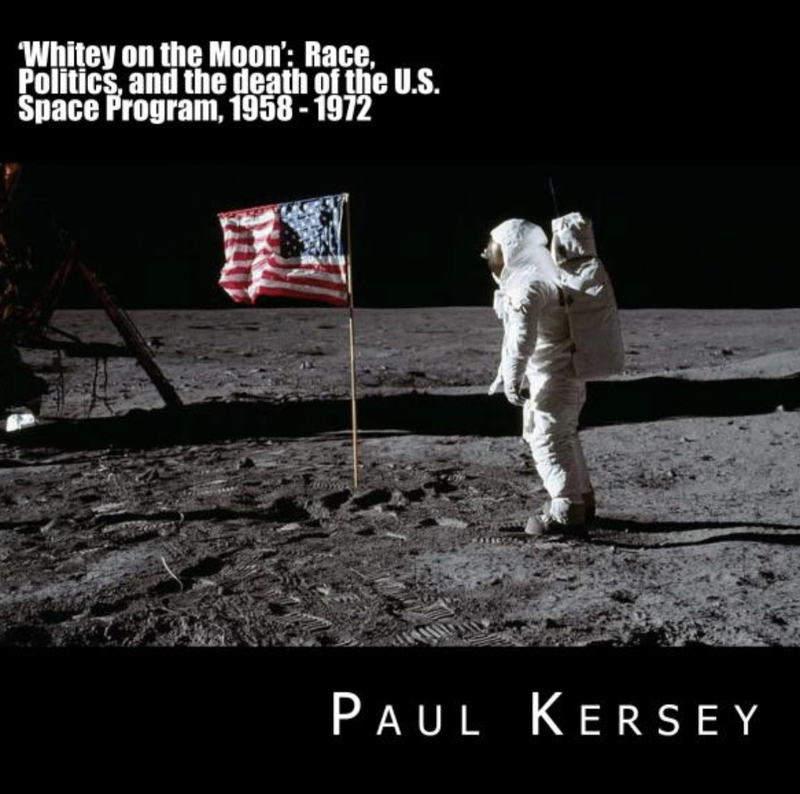 If you'd like to secure a signed copy, make a donation of $25.00 via PayPal in the right-hand scroll down bar. Thanks! Ends with 9 people shot. Two dead (one from a car accident as the drive-by shooters tried to drive away). Detroit police say two people are dead and several others wounded following a shooting at a vigil on the city's west side and a vehicle crash afterward. Police were called to the home in the 14000 block of Patton Street in Detroit for the reports of shots fired. Susie Haywood who lives in the area says, "I was asleep and boom-bam, it was like oh my god." According to police reports, when emergency responders arrived on scene, 5 people had been shot, 1 person fatally. Police also say that when they arrived on scene, several cars sped off. One of the cars crashed a short distance away in the 9000 block of Burt. "We have had very little cooperation from the people involved so we are trying to piece together events," Craig said. A passenger in the car was ejected during the crash and died after the vehicle crashed into a fire hydrant. It is unclear if this person died as a result of the shooting or the crash itself. Chief James Craig of the Detroit Police says, "it appears everyone was acquainted but we are not sure what started the argument." Police say two people were taken into custody in the area of the shooting and crash; five others were taken into custody at a hospital. The most important detail was left out of the prior article. Detroit police say a prayer vigil on the city’s west side turned into a deadly family feud with several people shot, a car wreck and multiple suspects under arrest. “It appears we have eight people shot; two in custody, fleeing the scene; five in custody at the hospital that, instead of going to show support, decided to act stupid — we had to lock them up; and we have three weapons we’ve recovered,” Detroit Assistance Police Chief Steve Dolunt told WWJ’s Mike Campbell. The situation unfolded just before 2 a.m. Friday after a prayer vigil near Patton and Kendall streets, in a neighborhood near Outer Drive and I-96. As the vigil was wrapping up, a vehicle drove by and a gunman opened fire on the group of people standing outside. At least eight people were struck by gunfire; one man was killed. Maurice Westley lives behind the house where the shooting took place. “There was a short intermission and then I heard a different type of gun going off. Prayer is the wrong activity for hoping to restore civilization and peace in 83 percent black Detroit. A moment of silence or a vigil is, equally, a wasted endeavor for hoping to turn around the run of bad luck in 83 percent black Detroit.